The Newton Works as established in 1940 as a Shadow Factory producing stampings for tanks and other military vehicles. After the war the factory was taken over by Garringtons to produce stamping for the automotive industry. This factory that at one time occupied over 50 acres and employed 3,100 workers was situated on the west side of the Birmingham to Bristol main line just south of Bromsgrove station. 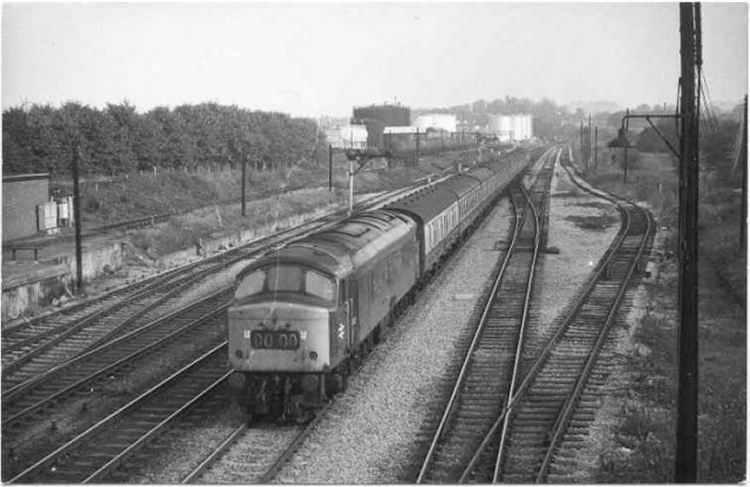 Two diesel locomotives worked traffic at this site but the rail traffic declined in the mid 1970s and the rail connection was retained for emergencies only. The last locomotive was sold in 1982 and the rail connection was severed. The works closed in 2002 and the site was sold for residential housing and industrial units. This is a photograph of John Fowler 4100013 of 1948 in the yard at Garringtons. This locomotive was sold for preservation in April 1982. It was an 80hp locomotive, ex-works on 30th October 1948. This is Drewry 2199 also at Garringtons. 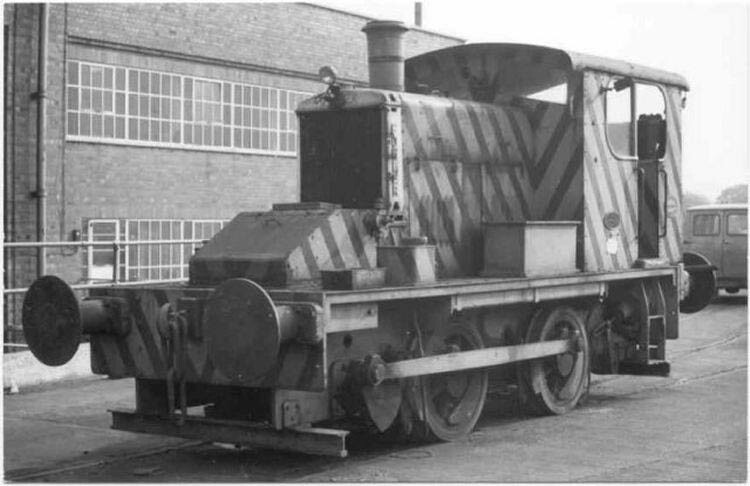 2199 was delivered in July 1943 to Deritend Stampings Ltd. 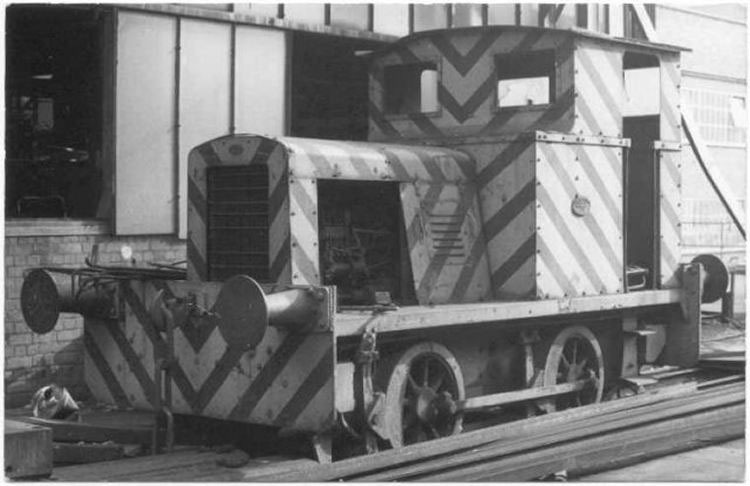 It was a 60hp loco fitted with a Gardner type 6LW engine. This locomotive was sold for preservation in 1979. This photograph was taken from a bridge just to the south of Bromsgrove. Although the bridge was on a public footpath, access to it was only possible by going through the security gate into Garringtons' factory and then crossing the private siding into the works. 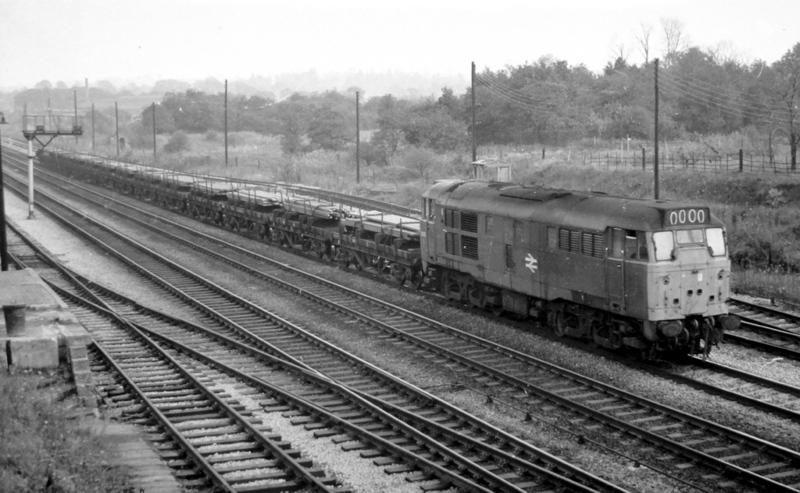 Class 31 diesel locomotive No.31180 had charge of a train of steel bars, possibly heading to a steelworks in South Wales. The photograph was taken by Adrian Booth on 21st September 1976 which was an important day in music history as the Flying Burrito Brothers (Burritos are Mexican sandwiches) were playing live at Birmingham Town Hall that evening. Another view of the same train was taken by Andrew Smith. Class 45 No.45016 heading south through Bromsgrove, the entrance to Garringtons was on the left. All four photographs were taken by Adrian Booth on 21st September 1976. There was no internal railway traffic on the day of the visit.